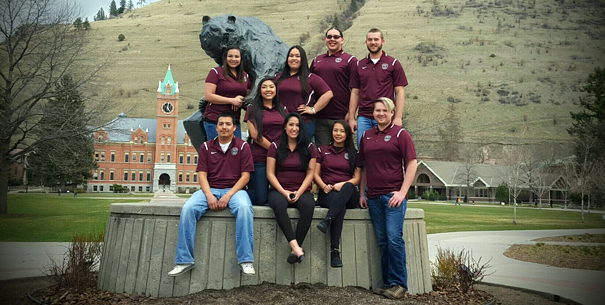 Ten members of the UM chapter of American Indian Business Leaders (AIBL) are attending the national conference this week, April 7-9, in Chandler, Arizona. Crystal White Shield will also as the graduate assistant in charge of many of the events happening while the conference is in session. The students will compete in the Business Plan Competition and for the Chapter of the Year. The conference will feature Native American entrepreneurs and small business owners to speak and hold workshops for the students that will be in attendance. The founder of the Nike N7 division, Sam McKracken, is one of these exciting speakers. Workshops will be held on market segmentation, connective leadership, Native women in business and capacity building in Indian country just to name a few. As of April, there were 132 registered students from all over the country registered for this year's conference. The students in attendance during the conference will be given the opportunity to network with other AIBL chapters as well as all the keynote speakers, workshop panels and board members.